Deborah Price is the Founder and CEO of the Money Coaching Institute, which provides money coaching services and training to individuals, couples and families. A former financial advisor for over twenty years with firms such as Merrill Lynch, Mass Mutual, AIG and London Pacific Advisors, Deborah left the financial industry to pioneer the field of Behavioral Money Coaching in 2001. Coping with money issues, both practically and psychologically, continues to be a major life struggle for millions of people and yet, there is very little help available. As a result, people often manifest money patterns, beliefs and behaviors that can prevent them from experiencing their full financial potential. Deborah has developed a unique, step-by-step coaching program that helps clients move beyond barriers to their personal and financial success. As a result, client’s experience renewed hope, restored relationships, increased confidence, and enhanced personal and financial success. Through education and awareness, Deborah is committed to empowering others both personally and financially. She is the author of Money Therapy: Using the Eight Money Types to Create Wealth and Prosperity; Money Magic: Unleashing Your Potential for Wealth and Prosperity; and her latest book, The Heart of Money: A Couples Guide to Creating True Financial Intimacy. She is considered one of the foremost experts in her field and speaks and teaches globally. She has trained over five hundred Certified Money Coaches (CMC)® throughout the USA, Canada, Singapore, England, France, Hong Kong, Malaysia, Indonesia, Australia, South Africa, and Jordan. 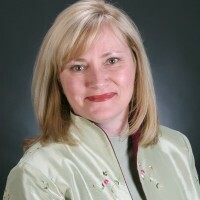 Deborah Price is the Founder and CEO of the Money Coaching Institute, which provides money coaching services and training to individuals, couples and families.